Click on this logo to book direct with Avis. Avis opened the first ever car rental operation at an airport location in 1946 - at Willow Run Airport in Detroit. Expanding into Europe, Africa and Middle East and now with over 5,230 locations in 166 countries, Avis is a truly global brand. Avis has been Europe's leading car rental company since 1973, now with 140 locations in the UK and a choice of over 40 different car models. Offering a range of services to ensure customers find the easiest and most hassle free mobility solution to suit their needs. 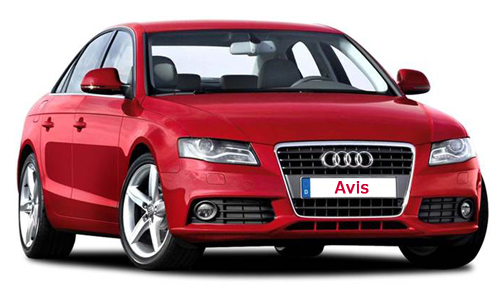 Services designed around customer convenience to make journeys with Avis the easiest way to rent. “We Try Harder” is the spirit of Avis and the promise it strives to deliver.